Welcome to The Quantum Lifeline JUNE-JULY 2007. Welcome to our June/July newsletter and no doubt you have been feeling the ripple effects of the New LIFE System Light and Sound as have we. As you read this newsletter we are in South Africa busy with the Dept Of health registration for The LIFE System. As you know The LIFE System achieved a milestone earlier this year by becoming one of the few Class 2a Listed European Devices in Europe . This is a wonderful achievement and offers us a great opportunity to demonstrate the great advantages of The LIFE System to other parts of the world. So much has been happening this past month we do not ven know where to start… With our very successful training in Phoenix Arizona with Dr. Linda Henderson to some new flyers available for download to our much anticipated "bizniss in a box" promo. We heard you! All of you… We know what you need to better market your practice and we decided to double up on this request! First we have generated some new flyers for your practice. 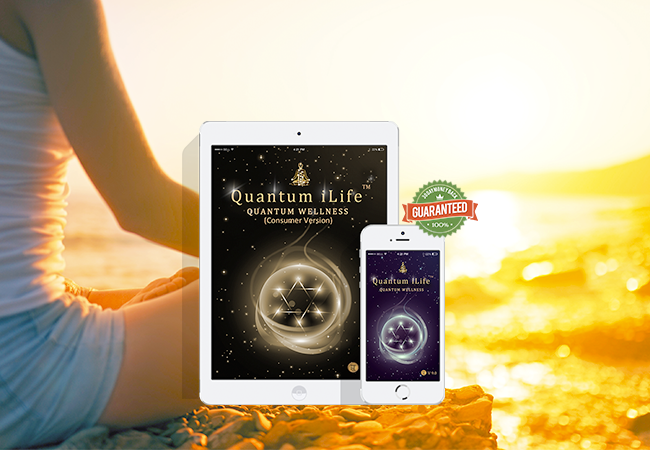 These can be downloaded directly from our websitewww.quantum-life.com/documents.htm We have both a sales related 1 page flyer as well as a practitioner related brochure. They are a single A4 size page and a perfect introduction to The LIFE System. THINKING OF DOING A EXPO? The biggest challenge with an expo is how to provide all attendees with a cost effective way of getting your message across. Well apart from the above flyers we have also created a small double sided flyer which can be printed by the thousands to hand out to all interested parties. It is less expensive which means you can get your message across in a more affordable manner. In light of the new Windows Vista we have generated some additional installation manuals. Did you know we are one of the very few biofeedback devices which is now Vista Compatible? The LIFE Office with Shirley Orlich is becoming a favorite as well. The LIFE Listing is something you simply can not do without. A complete listing of all known imbalances in the body and then a listing of where to locate these in The LIFE System. Now as for our “bizznis in a box” I simply think this is the best promotion we have had to date! Imagine everything you need to start your practice today.... from flyers, business cards, expo banners, letters, tri fold brochures this is everything you need to start a budding biofeedback practice. YES we are even including a FREE Laptop with our Bizniss in a box! Be prepared to start building a biofeedback practice second to none with the best device in the world; The LIFE System. In an effort to help clear some confusion regarding the New Light and Sound LIFE System we have compiled some FAQ's. We acknowledge there have been some growing pains during this new launch and would like to offer our apologies on behalf of Quantum Life and the manufacturer Living Information Systems. Although we anticipated the success of the New Light and Sound device the manufacturer has been working overtime to ensure the units are available for distribution. As a result of the new units, new training materials are required. We are awaiting clarification regarding the specifics of the Light and Sound before these materials are made available. Please bear with us during this exciting time! Q: How Does The Light Work? A: There are 4 light diodes on the head harness and 1 diode on each of the ankle and wrist straps. The head harness will display 4 different light diodes while the ankle and wrist straps all display a red light. Every time you do a feedback therapy the corresponding light frequency will be generated and presented to the client via the diodes. Q: When Will The Sound Be Available? A: Currently all new devices do not have the sound portion yet. This will be released very soon as a FREE Software download. Please keep an eye on your emails. The sound will be generated through your computers sound board. You can turn up or down the volume via your computer. You may also decide to purchase some headphones for your computer which will concentrate the sound therapy via the earphones to your client. A: The manufacturers responsibility was to ensure all new units would receive the new Light and Sound System to reduce the amount of exchanges required. They simply were battling to keep stock to meet both new orders and upgrades. When the upgrade process began they addressed the most recent upgrades and worked backwards. Last year we ran a promotion where new purchasers could pay $14k and be eligible for the upgrade at a fixed price of $14k. Quantum Life extended this promo to ensure more people could take advantage of this $500 savings. As a result when it was time to upgrade with the manufacturer we were advised to wait until April 15th before all Quantum Life upgrades were processed. This decision was made to ensure the upgrade process went as smooth as possible. Next California Basic Training is scheduled July 21, 2007, 8:00 a.m. to 5:00 p.m.
September 22, 2007, -- Advanced Training Day September 23. November 17, 2007 -- Advanced Training Day November 18. Please read below to read a sneak preview of a book which is due to be released July/August. Quantum Life's California Regional Manager, April Dangerfield in her debut book appearance in “The Power of Mentorship - The Woman Entrepreneur" by Don Boyer. Guess you will have to find out more about this amazing L.I.F.E. System Regional Manager by purchasing her book when it comes out. You can contact April direct at april@my-en.com. “I wanted to help others without having to ask someone. This was a need I felt deeply. I could visualize really helping others. I could feel the satisfaction and gratification in my life. The L.I.F.E. System came into my life. The L.I.F.E. System is a computer software biofeedback program which identifies energetic imbalance in the body. WOW! Now I had a computer program which could balance or harmonize human energy. This was my path. Your body is energy. All thoughts are energy. All energy can be identified by frequencies. All frequencies are able to be identified. When you introduce positive energy into your body, you create a positive energetic life. Past thoughts, actions and environments imprint specific energy into your body. The good news is that any thought, action or environmental toxin can be balanced or neutralized. This has been an extremely busy but productive month. Our community and private business lectures are going very well. We're finding that people do want to be more accountable for their health! For those of you that don't already know, I work in a Wellness Clinic, very closely with a Chiropractor. I wanted to share our office New Patient Protocol for the LIFE System so that you can help your Chiropractic Prospects. All new patients fill out the paperwork in advance so I can have their information input before they even come in the door. I have the receptionist e-mail or fax the paperwork to the new patient when they initially call in and then they get it back to us before their appointment. Before the doctor even starts his testing I see the patient. I spend approximately 15 – 20 minutes with them. I run the Reactivity Test, Spinal Panel, Detox Panel and the Vitamin and Mineral Panel. The Doctor chose these specific panels because they tie in the best with his New Patient Exam. The reason he wanted the Detox Panel testing done is because we strongly suggest to patients to eliminate toxin buildup and the patient gets a real awareness of why it's so important after we run that panel. The Extended New Patient Exam Code will cover this extra time and expense. Now, what I've done is exposed all New Patients to the LIFE technology and believe me, they're always impressed. They always have tons of questions after the doctor is done with their first visit so I will spend time either in person or on the phone with them. The New Patient always walks out with the LIFE System Brochure. We have and 8 out of 10 success rate with New Patients scheduling for a complete Initial LIFE Appointment! What's great is that their information is already in the system so we can spend that hour and a half more productively. This is a nut-shell overview, so please feel free to contact me with any questions you may have. Things have been hopping for us in Kennewick , WA ! We had thirteen attendees at our LIFE training on Saturday, May 19. All had excellent questions and many already had excellent testimonials to what they'd been able to accomplish. Great job guys and gals! And some are already chomping at the bit to make their first sale. It's not hard to show people how to add LIFE as an insurance policy for their family unit or to therapists that it is a sure fire money-maker as as extra modality in their practice. Since I have started doing the Thursday night Webinar, I have been so excited for how much I have learned and the opportunity to meet other practitioners online. I like how everyone supports each other and shares their insights on how to better utilize the L.I.F.E. System. I would like to thank everyone who is able to join in on the webinars, and encourage others who may have the time to join in and share their experiences on the panels being discussed for that webinar. I have had some wonderful successes with clients this past month using the L.I.F.E. System. I received an email just today saying how great one of my clients felt after only one session. She was so impressed that she has referred three clients! The use of the emotional release for the conflict stress in Dimensional is so very powerful that I use it every time on every client. I am planning a training here in Sandpoint this summer. I will include a B&B in the cost of the training as a package. I can see where this could be a fun way to enjoy the training and Sandpoint. I took part in a Wellness Fair this past month. I met some wonderful people and ended up with two new clients. The fair was for a Wellness Foundation that is starting here in Sandpoint. It is an exciting venture that I hope to be a part of with the L.I.F.E System. Here at the Chrysalis Connexion, we are wowed everyday by the human body and what it is actually capable of creating. Did you know that there are approximately 6 gigabytes of memory in every cell of your body? Did you know that you have approximately 125+ trillion cells in your body? That is a huge “hard drive”. This hard drive records everything that has ever happened in your life from conception! Not only does it record your history, but your DNA has recorded the entire history of your ancestral line! Now that is truly amazing. Since we at CCI believe that all disease is created by the emotion/spiritual state of the human mind, it makes sense to clear the negative energies from the body. How do we do this? Easier than you think, in your hands you have a very powerful tool to facilitate the healing of your clients. Let's take a moment to look at the anatomy of disease. You as the practitioner can not, nor should you try to remove the memory, that is not you purpose or the purpose of the LIFE system. However, you can and should try to find the energy disruptions in the body, thereby breaking the pattern of disease. Remove the energy disruption, inhibits the physical manifestation! You have at your command a very powerful system! Use the Emotional screen to clear the energy fields. Use the NEP to balance the emotional system. Finally use the Dimensional to ascertain the most powerful negative energy present in the energy system of your client's body. When you mention the conflict the presents you will find that your client most often will physically respond in the center of the chest, the seat of the emotions. Balance the negative conflict energy, then remove it from the other levels of the energy field. In essence we feel that we are helping to heal present, past and future generations! Does one time bring about change? The answer is emphatically, yes! Because of the nature of Quantum physics, we know that every time we introduce energy into our client's energy field, we are altering them at many levels. The power of the LIFE system and the intent of the practitioner to heal is a powerful combination! You have the power to free your client's to heal if they so choose. Know in your heart that you have created the possibility of healing, then stand back and watch what God's creation; the body can and will do. LIFE Saves and Energizes our Pets w/o Drugs & Hidden Codes on our DNA?Last month I had the opportunity to find out just how powerful the LIFE System is for repairing the unknown causes of a severe urethra problem with my cat Tigger. I had been noticing for a week that he hadn ' t been peeing very easily and seemed to be straining, I knew by experience to call Colleen Martin; RM in the Atlanta area, she suggested running several programs on Tigger including “ urethritis ” , “ gravel in urine ” , “ kidney stones ” , and a couple of others in the Pet/Animal Panel. I had 1 st taken him to the vet to be sure it wasn ' t life threatening, they gave him an anti-inflammatory shot which later proved to be hind-sight unnecessary … After the 2 nd day of running these LIFE programs to as near 100% rectification as possible, he started going easier and without straining as before! Thank God for our LIFE Systems. One other short testimonial on my LIFE partner from K.C. John Crooks, his mother has an older dog who was very lethargic and generally weak, the dog couldn ' t eat, drink or move; $400 later from the vet, they couldn ' t tell what the problem was until spending at least another $700, John put the old dog on the LIFE Pet/Baby Pad, found parasites at over 70%, emotional stress from separation from past owner and a nutrition deficiency. One half hour later on LIFE, the dog is happy, eating well and is most important alive, where he would ' ve been put to sleep under the existing conditions. One a more fascinating note; I recently heard a Messianic teacher, Brad Scott for Wild Branch Ministries. (www.wildbranch.org) He spoke in part on “ Area 51 ” which is the really unknown part of our own DNA ladder that has indeed the original Hebrew language written our it ' s twisted stands. Could His hidden codes be indeed the same His Holy Name YH . Could this be a key that Mike & Chris need to know about to further our knowledge of “ just how does the LIFE System work ? ” and indeed, just how does our own very complex auto-immunity system which is so often compromised to control a symptom, work? There have been many books written on this “ theory ” including “ Cosmic Codes ” “ Pirates of the Sacred Spiral ” & “ God Code ” . Well worth reading into top further our innate Wisdom! Einstein once said: “ My comprehension of God comes from the deeply felt conviction of a superior intelligence that reveals itself in the knowable world. ” Other brilliant minds have also echoed the concept of “ intelligent design ” . With the discovery of the “ God code ” , we now know that God has left a calling card within our very DNA. When decoded, this message reads “ God/Eternal, within the body ” . This certainly introduces a new spin on the ancient spiritual truths of “ look within ” and “ know thyself ” ! We are connecting with you from beautiful Milton , Ontario , Canada . Paul Henderson has been busy welcoming new LIFE users to our growing family and preparing for the fall semester. Linda Henderson has just returned from a well received Intermediate training in Phoenix Arizona . 45 plus practitioners gathered for 3 full days of LIFE – going deeper – and will be rewarded with CEU hours toward the 500 required hours to become a CBS (Certified Biofeedback Specialist). Maybe you are wondering why this education is needed for working with the LIFE system. The College of International Holistic Studies prides itself in providing useful and much needed education in various Natural Medicine disciplines in order to help ourselves, families and Mother Earth. The understanding of the Quantum Energy Field is one of these disciplines/diplomas. Practitioners of the LIFE system achieve deeper and longer lasting results if they have knowledge of Quantum Consciousness, something which world renowned MD Deepak Chopra has been talking about for years. CIHS does not believe it is enough to be able to just push buttons. We believe you need to have an awareness of why you are pushing the buttons and the co-relation between the information coming up and the symptomology the client is presenting. Some of these links were taught in Phoenix and judging by the comments afterwards, the recipients gained a deeper understanding of the information being presented on the screens, how to interpret the numbers according to the rules of Homotoxicology, The 5 Element Law, The Chakras and the co-relation and links between them. Life is an ongoing journey of experiences that bring us to a greater understanding of ourselves. Working with the LIFE system is no different. CIHS, Quantum Life and Paul and Linda Henderson are committed to helping you, the LIFE practitioners, on this journey of self discovery and as a result of this, many others will benefit. Please visit our website at www.cihs.ca for more details of our “NEW” core health pack courses. These correspondence courses will be required for CEU's for non licensed practitioners working towards their CBS. The CBS will eventually be required by your Government for any non-licensed practitioner working in the field of Biofeedback. If you have any questions regarding these requirements please send us an email at info@cihs.ca or call us at 905-864-8694 or fax us at 905-864-8699. Reverse Adrenal Fatigue With BiofeedbackBy Nick Arrizza, M.D. I wish to relate a remarkable story employing a new biofeedback device called Quantum Life in the last year which has surprised and delighted me and has given me hope for even greater personal growth than I could ever have imagined. Recently my life has evolved in such a way that I have moved out of practicing medicine and into a more holistic program. I have become a student of Naturopathy as I feel it will help to enhance my already growing interest and background in natural and energetic modalities. I'm functioning better than I did when I was in my twenties. This has made it possible for me to enjoy and get the most out of my new endeavor. This biofeedback system operates on the principle that illness of any kind results when one or more physiological systems stop communicating with each other in a coherent and coordinated fashion. This is much like what happens in a relationship with the same difficulties. The outcome of such miscommunication is a faulty relationship system that ultimately breaks down. Quantum Life has the capacity to detect such miscommunication at the physiological level and help "re-connect" disparate and isolated organ systems so that the entire "human system" can re-establish normal coherent function. The concept of "stress" is effectively a state that results when communication breakdown occurs at the mental, emotional, physical and spiritual levels within an organism. Quantum Life can re-establish coherence in stressed "systems" and “individuals” rapidly and effectively thereby enhancing wellness, resilience and overall performance. Many professional athletes having been employing such technologies to enhance their performance and with great results. To learn more about this technology kindly read my other articles on Biofeedback or contact me at the email address below. Dr. Nick Arrizza is trained in Chemical Engineering, Business Management & Leadership, Medicine and Psychiatry. He is an Energy Psychiatrist, Healer, Key Note Speaker, Editor of a New Ezine Called "Spirituality And Science" Author of "Esteem for the Self: A Manual for Personal Transformation" Stress Management Coach, Peak Performance Coach & Energy Medicine Researcher, Specializes in Life and Executive Performance Coaching, is the Developer of a powerful new tool called the Mind Resonance Process(TM) that helps build physical, emotional, mental and spiritual well being by helping to permanently release negative beliefs, emotions, perceptions and memories. He holds live workshops, international telephone coaching sessions and international teleconference workshops on Physical. Emotional, Mental and Spiritual Well Being. Our planet does not have to endure devastation to work through it's karma. Humanity is ascending through love and compassion and we are realizing our true potential as we come into alignment with who we truly are. As we bring in the energy of the higher dimensions we activate our planet's grid system and in doing this we reach the realm of unlimited possibility. For too long we have been consumers on this planet, not giving back. Now it's time for us to all ‘wake up' and take responsibility for who we are and why we are here. Collectively, as ‘One' we can come together and restore peace and harmony to our Mother Earth. Go to the website to check your time zone for 11.11GMT and join all who will be coming together as ‘One'. Right now, Fire The Grid website is getting between 12,000 and 15,000 visits per day! You never know who is waiting to receive this information from you so why not send it to everyone!